The NSW Government is calling for prospective tenants and operators of the ambitious 60-hectare Enfield Intermodal Logistics Centre (ILC). 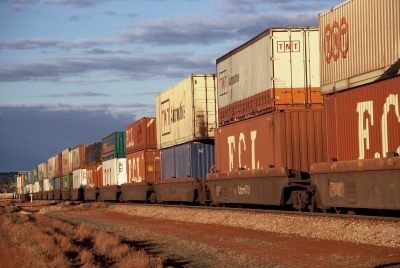 The ILC is connected by a dedicated freight rail line to Port Botany, and the intermodal terminal is expected to handle a total of 300,000 TEU once it becomes fully operational. Situated on the site of the former Enfield Marshalling Yard in Sydney’s inner-west, it will comprise an intermodal terminal, six warehouses, an industrial and commercial area, as well as empty container storage areas. It will have two road access points linking to Roberts Road and the Hume Highway, along with on-site traffic management and queuing. The project was put on the table with an aim to facilitate movement of freight by rail. With 85 per cent of containers originating from or bound for a destination within 40 kilometres of Port Botany, only 20 per cent of goods are currently transported by rail. The NSW Government wants to double the rail’s share, setting a target of moving 40 per cent of containers by rail to and from Port Botany. Construction is set to begin next year managed by Sydney Ports, with the facility expected to be operating at full capacity by 2016. “The ILC at Enfield is a key link in the logistics chain if we are to move more containers on rail,” said Sydney Ports CEO, Grant Gilfillan. The ILC is forecast to create around 840 jobs during construction and 850 jobs during operation, bringing a $165 million boost to the state’s economy. Once fully operational, the site is expected to generate 1,160 truck movements each day, but the government said the additional movements only accounted for less than one per cent of the forecast traffic on the surrounding arterial network. The project had faced public opposition, with local councils and community groups arguing the massive infrastructure would have adverse environmental and social impacts on the long-established residential district. In reaction to the approval of the project last September, Strathfield Council pursued legal advice to challenge the state government’s decision, but later withdrew from legal proceedings due to a slim chance of succeeding in the legal action. Sydney Ports will hold a briefing session on November 26. Access to tender applications will become available that day.